This one brings back the summertime memories. 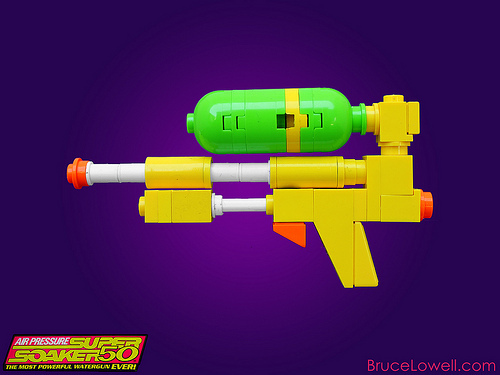 Bruce Lowell (Bruceywan) has recreated the iconic Super Soaker 50 in a compact size that retains all the detail and glory of the original. I remember the first time I fired one off. It was so awesome. Everyone who had one felt like they ruled the backyard. I quickly upgraded to a ‘100’ but nothing matched that initial thrill of the Super Soaker 50. Thanks for the trip down memory lane, Bruce!